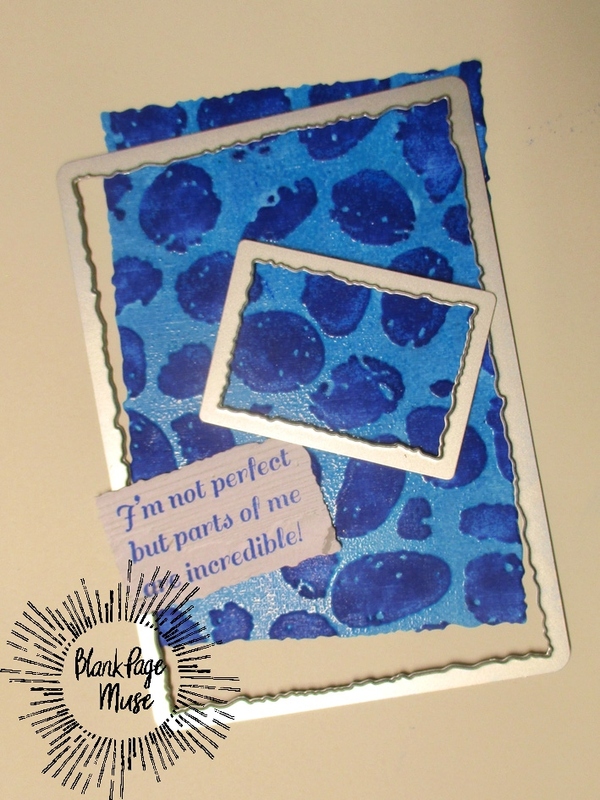 Hello Blank Page Muse fans. Gail here today. This month the team is looking at all things beach and under the sea so I decided to make this pretty Mermaid card. Apply Versamark ink to the Pebbles embossing folder and dry emboss a piece of blue card. 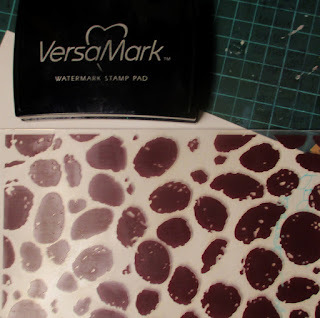 Sprinkle clear embossing powder and heat set it. 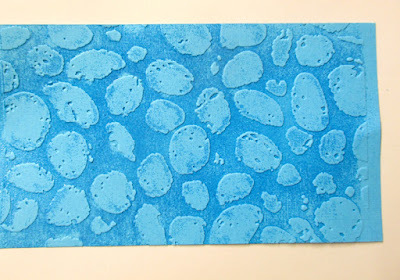 Ink the embossed panel with the Midnight blue dye ink, wiping any excess of the embossed areas. 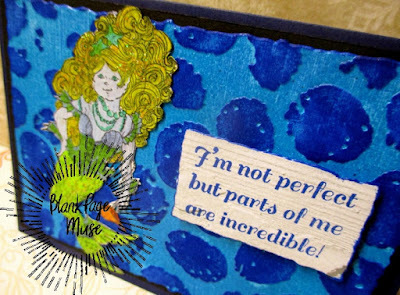 Stamp the sentiment with the same blue ink and use the Sizzix Deckle Edge dies to cut both the panel and the sentiment. 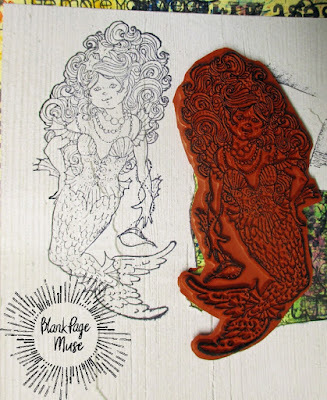 Stamp the Mermaid with black archival ink onto some woodgrain paper. 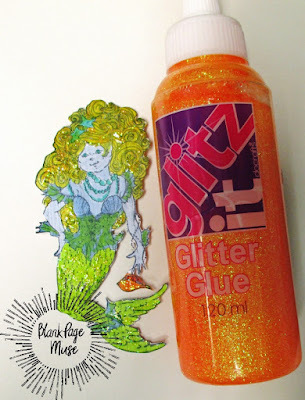 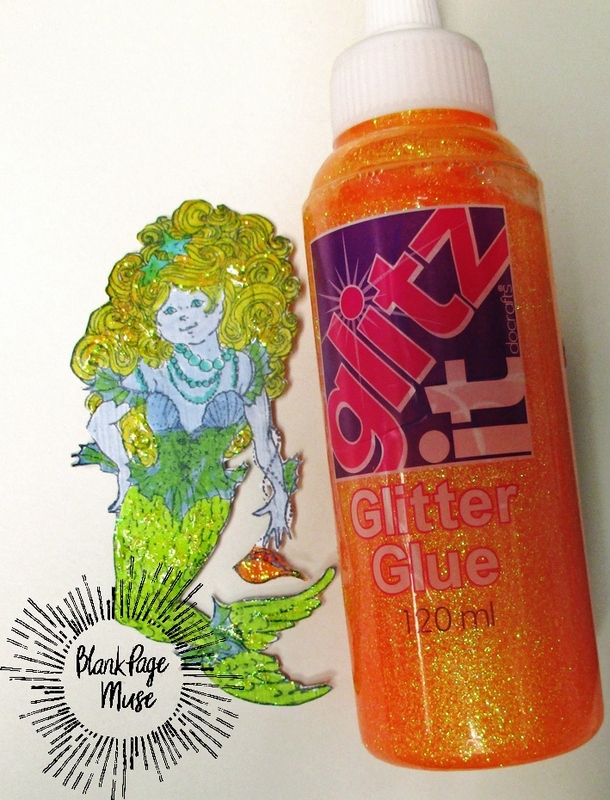 Fussy cut her and add some tangerine glitter glue. 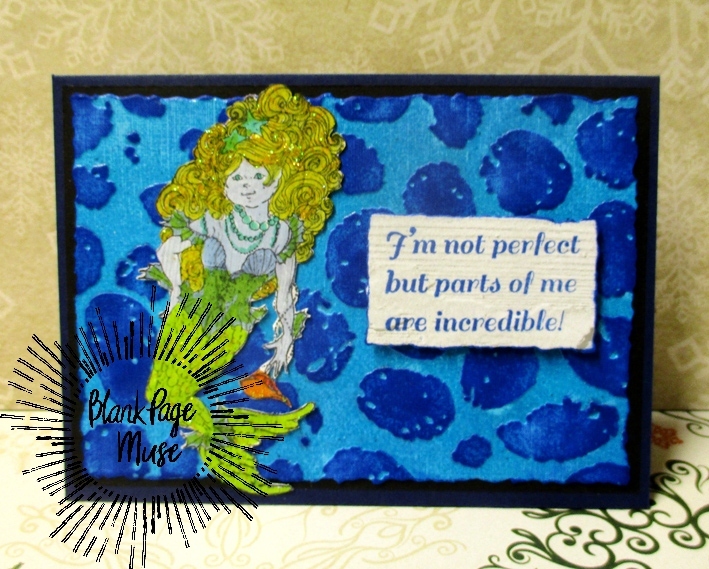 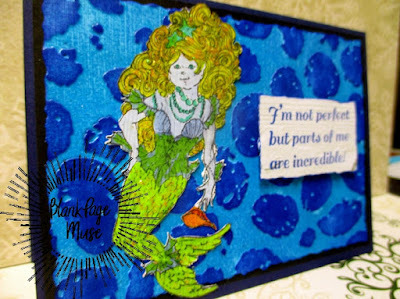 I used a dark blue card base and a black mat, then added the embossed layer, the mermaid and the sentiment, which I popped up on some foam pads. 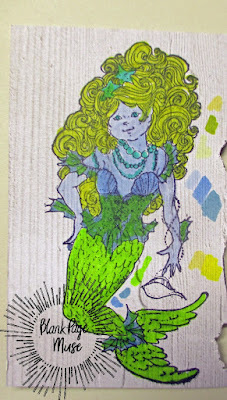 That mermaid is just beautiful dear!